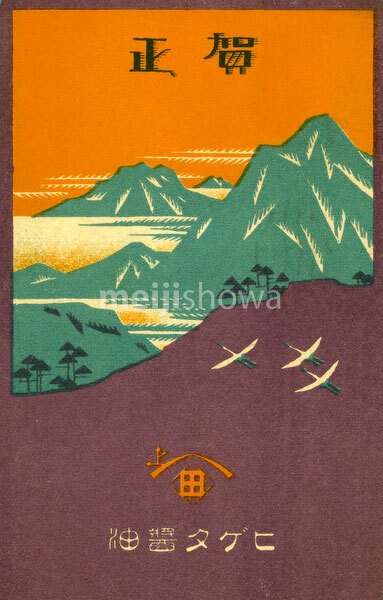 Illustrated advertising card for the Higeta Shoyu Company (ヒゲタ醤油) in Chiba Prefecture. Three cranes fly above a mountaneous landscape. The company was founded in 1616 (元和2年, Genna 2) by Gemba Tanaka (田中玄蕃), and is still in business today.